First ACH collaborates with leading financial institutions to bring you better payments. NACHA is a nonprofit association that is responsible for the administration, development and governance of the ACH Network. Pathfinder is a member of the NACHA Affiliate Program which enables organizations to connect with NACHA and participate in ACH Network Rules development. 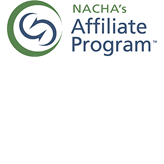 First ACH is a member of The NACHA Affiliate Program and applies NACHA standards to our payment processing programs. 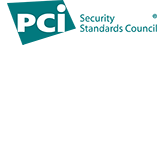 The PCI Security Standards Council was launched by five preeminent global payment brands American Express, Discover Financial Services, JCB International, MasterCard Worldwide, and Visa Inc. and is responsible for the development, management, education, and awareness of the PCI Security Standards. PCI Security Standards are common security standards to minimize theft and fraud in payment processing and have been adopted by responsible financial institutions. For more information, please visit: www.pcisecuritystandards.org. First ACH has implemented the security requirements established by the PCI Security Standards Council and collaborates with the council's founders to help maintain payment processing security.